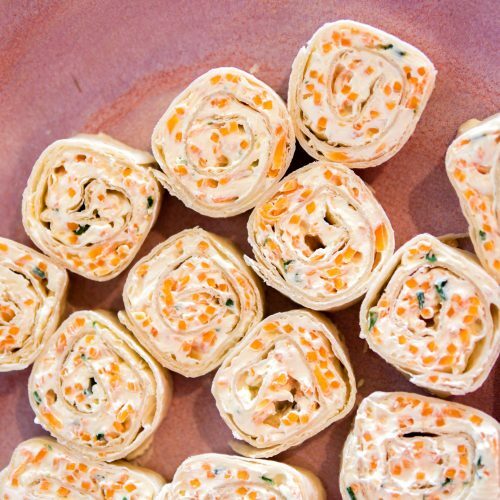 Carrot & Cream Cheese Pinwheels - Just Veg. Easy lunchbox, after school, snack or party food!Ingredients: 1 cup Just Veg Carrot Shred 250g cream cheese, 1 tbs chives 1 tsp onion powdewrapsJust Veg. 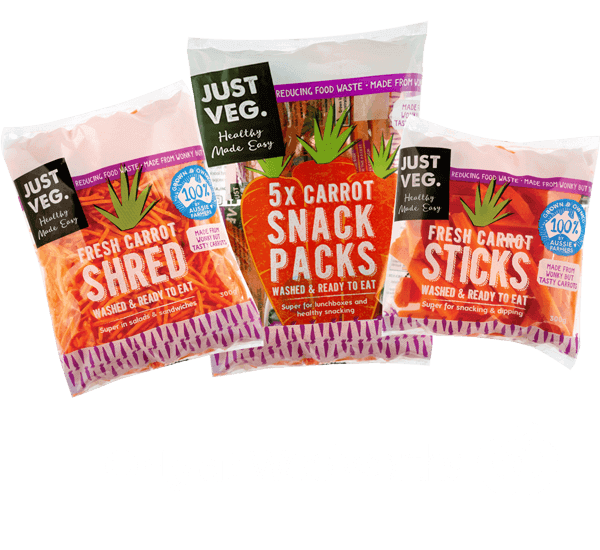 is a range of fresh cut carrot shred and sticks that is powered by Farmers' wives using "ugly but perfect" carrots - reducing food waste and making healthy snacking options easy! 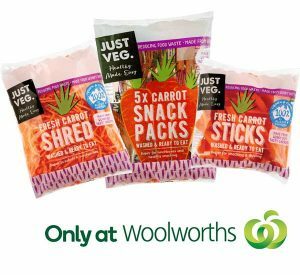 Available exclusively from Woolworths in the fruit and veg section. Easy lunchbox, after school, snack or party food! Mix carrot, cream cheese, chives and onion powder together in a bowl. Take a wrap and spread with cream cheese mix. Roll wrap up, cut into slices and serve. Watch video below for a demonstration!